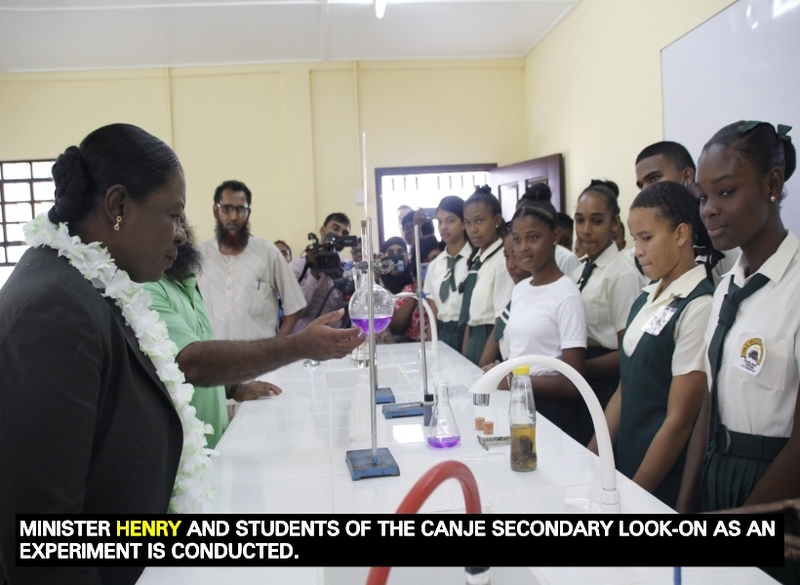 On Wednesday, February 6, 2019, Minister of Education, Nicolette Henry, commissioned an Integrated Science Laboratory at the Canje Secondary School. According to the students there, the laboratory will greatly benefit them, particularly the students that are preparing to write the Caribbean Secondary Education Certificate (CSEC) examinations this year. While at the Canje Secondary School in Region Six, Minister Henry also handed over sports items and home economics utensils to the students. On her last visit to the school, the Education Minister had engaged the students and they would have highlighted the need for the items. Minister Henry had then made a commitment to deliver the items. Following the Vryman’s Erven commissioning, the Education Minister visited the Berbice Educational Institute to officially commission its science laboratory. Meanwhile, on Thursday, February 7, 2019, the Education Minister visited the Woodley Park Secondary School in Region Five to commission yet another science laboratory. The facility was constructed at a cost of $14M and it is the first for the school. Minister Henry told the students that she expects to see improved performance in the science subjects taught at the institution. Further, she encouraged the teachers to ensure that the new science laboratory, delivers content that will see improvement among the school population. The Minister also commissioned a new set of steel pans at the BelladrumSecondary School on Thursday.